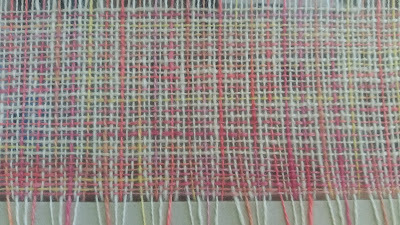 It's been a while but I finally warped up my rigid heddle loom and did a bit of weaving. Yarn: Handspun and dyed, unsure of breed but probably alpaca, very hairy alpaca which is why I'm using it for a bag and not a scarf. Lined with fabric from an old sheet. A scarf for my daughter, black as per school uniform regulations. 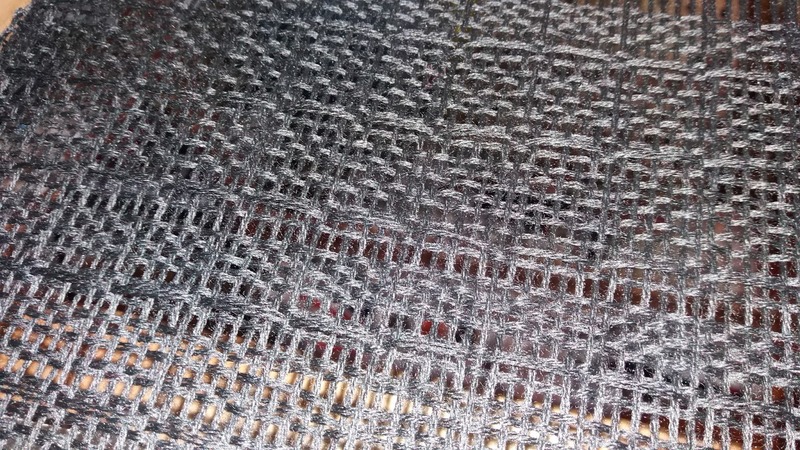 Yarn: 2 ply black wool from Anna Gratton used double. Pattern: Single windowpane p100, The Weaver's Idea Book by Jane Patrick. 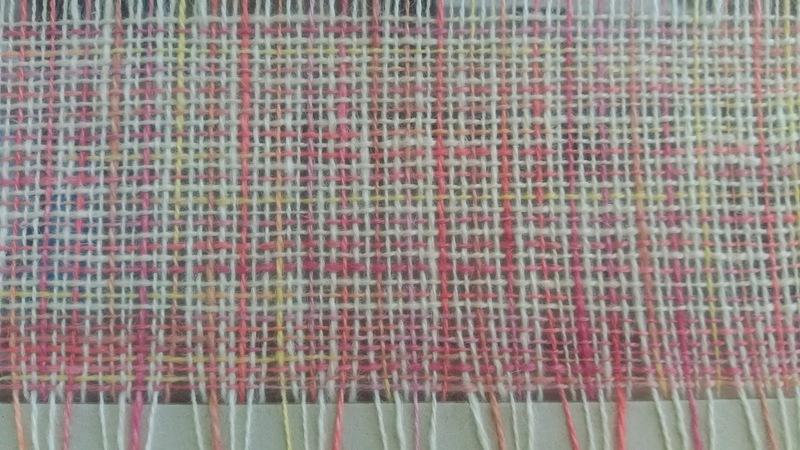 I'm always looking for patterns that I could use to make simple garments from my weaving experiments. 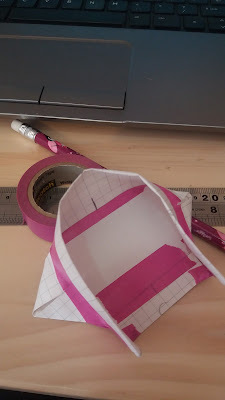 I read the Fadnista's sneaky shrug tutorial a couple of weeks ago and so this morning I mocked up a paper version. It took me a little while to understand the instructions but then it clicked. Now to try it out with some fabric. First post of the year and I'll start with something I made last year, my one and only handmade Christmas present, a lap blanket for my parents. Warp: natural Merino 4 ply from DEA Yarns, dyed rather unevenly by me. This is a lovely soft yarn. Pattern: Monk's Belt from "Handweaver's Pattern Book" by Anne Dixon, p98. 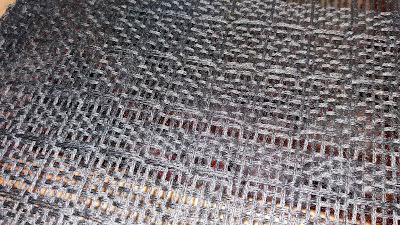 I underestimated how much of the merino 4 ply yarn I would need for the weft and twice had to dye some more. It was getting a bit desperate as I used up all my navy dye in the first batch and had to mix up something close from my remaining dyes. Blue dyes are definitely on my shopping list once the holiday break is over. I was a bit worried that this was a crazy present to give in summer, especially when we have had some really hot and sticky days but my Mum feels the cold a lot now (a chemo side-effect) and she used it while we were staying so I guess it wasn't so crazy after all.